Back to Europe in a Few Short Weeks! This is a big one! Nearly six weeks in Germany, France, Spain & Portugal. 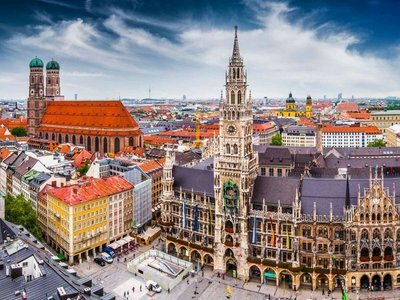 Munich, Germany - 3 nights at Hotel Brack. We stayed here last time and enjoyed this German-retro place with wonderful breakfasts. I hope to visit the Residenz, ride bikes, visit some beergardens, and Therme Erding waterpark! We will pick up a BMW foreign delivery car on our way out of town. 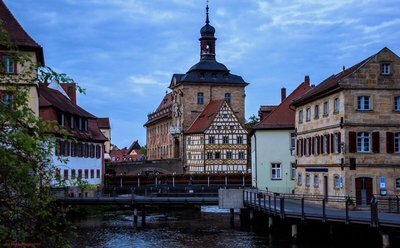 Bamberg, Germany - 2 nights. We are staying at a hotel with a beergarden just outside of town. We visited Bamberg two years ago but barely caught a glimpse of the town. This time, we will do a better job exploring the town and its environs. We'll save some time for luging and swimming! Dornheim, Germany - 4 nights. 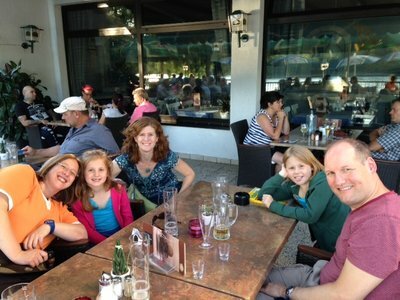 We will stay with family in their home outside of Frankfurt. We really enjoy their company and look forward to some excursions in this part of the country including a daytrip to Heidelberg. 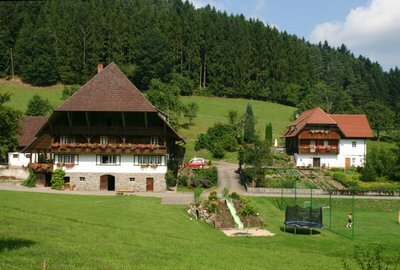 Gutach, Germany in the Black Forest - 3 nights. My mom will join us at this point. We are staying in the country at a working farm. The kids are sure to love the animals and space to play. From this point on, every part of our trip will be new to us. 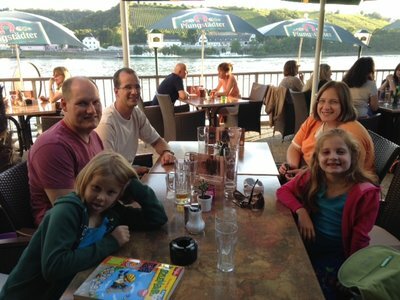 We will do more luging, check out an amusement park, explore the town of Frieberg, and go zip-lining! 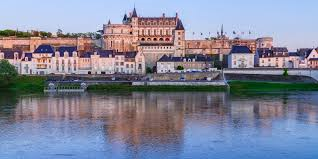 Amboise, France - 3 nights. After a long drive, this will be our view from our apartment! We plan to visit some chateaus and a famous zoo with a panda. Hopefully there will be a chance to bike around a bit and soak up some French culture. 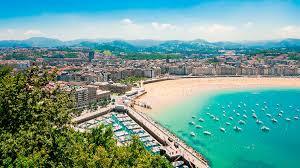 San Sebastian, Spain - 3 nights. We are eager for some beach time in this popular Basque town. San Sebastian is known for its fantastic food, charming city, and beautiful setting. From this point forward, we are using airbnb and homeaway apartments. 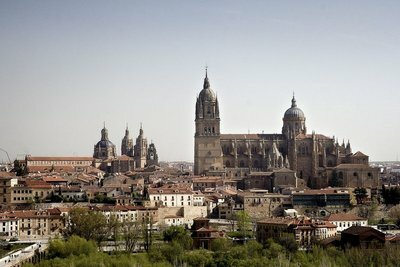 Salamanca, Spain - 2 nights. Salamanca is a thriving college town with a beautiful town center. It's supposed to be affordable and steeped with history. 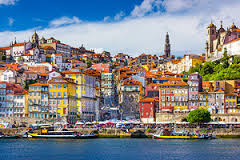 Lisbon, Portugal - 4 nights. I am especially excited to visit Lisbon. 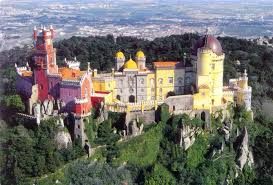 We will take a daytrip to Sintra and look forward to exploring the many neighborhoods in Lisbon. We scored a nice 3 bedroom apartment for a reasonable amount. 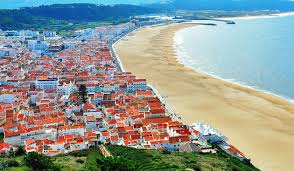 Nazare, Portugal - 2 nights. 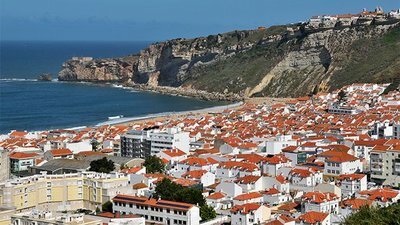 I figure we will need a couple nights to just kick back in a beachy town just north of Lisbon. This one supposedly retains its fishing culture from the past. Segovia, Spain - 3 nights. We are staying in an apartment just outside of Segovia. The town looks beautiful with its ancient aqueduct, church, and castle that inspired Walt Disney. From experience, I know our pace of travel will be slowing at this point. Our apartment is near a pool and I predict that we will be partaking in the customary siesta by this point in our journey. 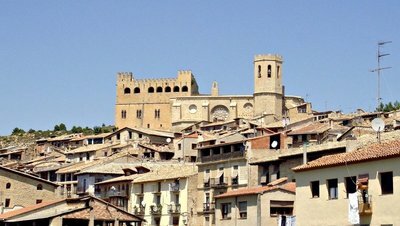 Teruel, Spain - 2 nights. We picked this more remote location based on a recommendation from my brother and sister in-law. They loved the desert city of Albarracin which is close to the somewhat larger town of Teruel. This makes a convenient stop-over on our way to Barcelona. Barcelona, Spain - 4 nights. I might be more excited about Barcelona than any other location on this trip! 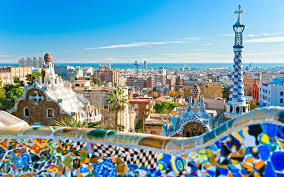 We already have tickets to see some of Gaudi's architectural masterpieces (Sagrada Familia and Park Guell) as well as a flamenco show at Palau de la Musica and a jazz concert on the rooftop of Casa Mila. We picked an apartment that is centrally located, pre-paid for parking, and hope to celebrate this city and end of our trip. My mom will go home after just two nights in Barcelona. 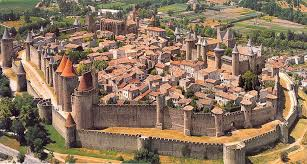 Carcassonne, France - 2 nights. I have always wanted to see this lovely walled city. I know it will be touristy but hopefully it will help to stay a couple of nights to see the site after the day-trippers have left. After one final long drive, we will drop off our car and fly to Dulles, Virginia to see friends for 1 night. Then, we will fly to Fargo, ND for a family reunion before heading home to Oregon. What a journey! I can hardly wait for this adventure to begin! Amazing journey!! I can hardly wait for your updates!